Type: BOOKS. Detail: Seirawan, Y. Product Code: 1857443470. 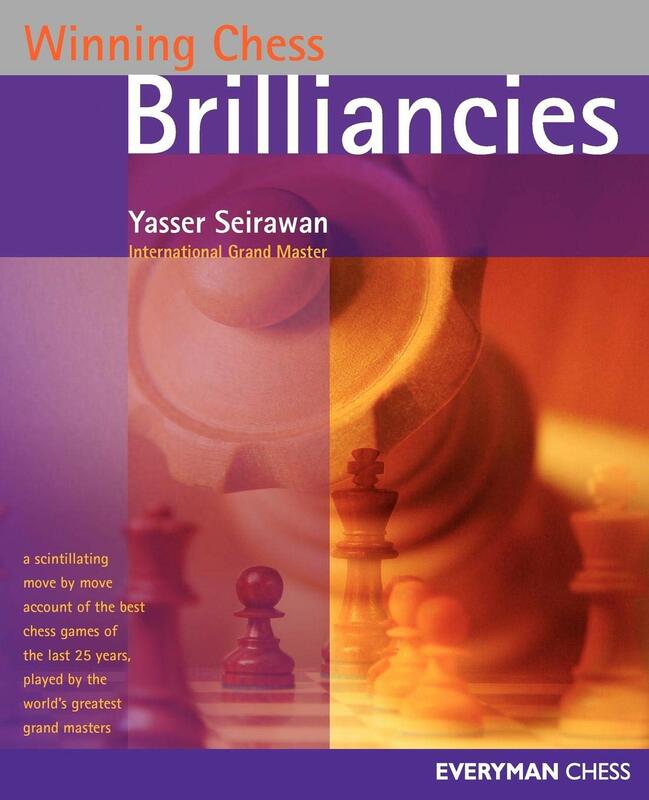 This book by International Grand Master Yasser Seirawan provides a movebymove account of the best chess games of the last 25 years, played by the worlds foremost chess competitors. With an authoritative voice that is by turns poetic and analytical, Seirawan serves as host of a fascinating excursion of the most brilliant chess game, providing highlights into and explanations of each and every move.Seirawan begins each game with a description of the historical atmosphere of the chess world and sometimes the world at large at the time the game was played. When he delves into the game itself, he starts with the reasoning behind the opening moves. From there he provides both a playbyplay description of the game and an analytical commentary, all the while examining the moves in terms of place development and possible tactical and strategic opportunities. Along the way, a handful of the players are profiled in biographies.In WINNING CHESS BRILLIANCIES youll get a taste of the most dazzling chess combinations devious strategies, and downright cruel blows as world champions risk it all! This book is truly a celebration of the sport of chess. My Best Games Seirawan. Chessbase. $59.95.